Many people think of yoga as simple stretching movements designed to relieve muscle tension, but yoga is much more than that. Another misconception that many people have is that you have to be young to get started with yoga, which again is not true. Yoga can be practiced by everyone irrespective of their age, their gender, and their health. In fact, yoga for seniors is becoming more and more popular in the United States and the rest of the world as people slowly realize its hidden potential. 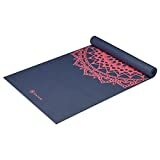 How To Get Started With Yoga If You Are Over 60? 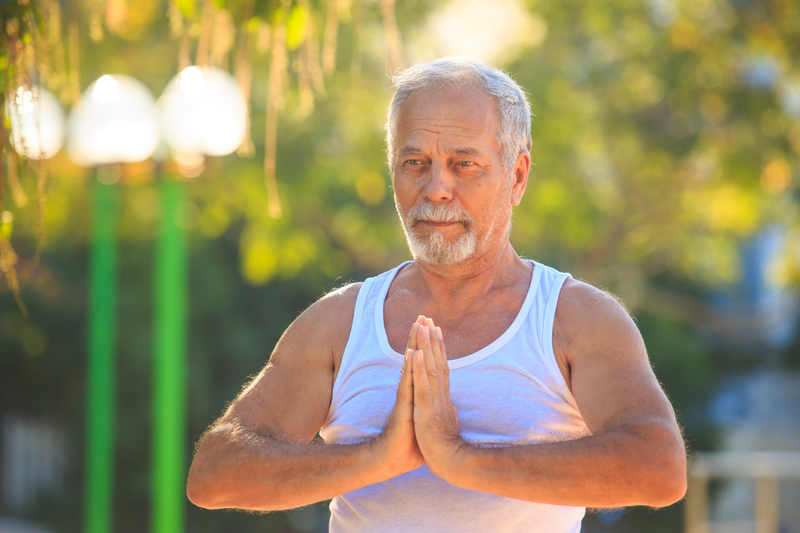 What Are Some Yoga Poses For Seniors Over 60? Yoga is a discipline that is basically a combination of physical, mental, and spiritual practices. Its origins can be traced back to ancient India, where people used to regularly practice physical postures, breathing techniques, and meditation to relax and rejuvenate their body and mind. There are as many as six different branches of yoga, the most popular being the ‘Hatha yoga.’ The beauty of yoga lies in the fact that despite there being so many types of yoga, there’s no style that is more authentic than or superior to another. The health benefits of yoga are numerous. Extensive research has been conducted on the benefits yoga has on the human body. 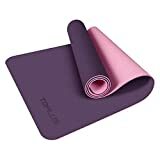 Yoga is a safe and effective way to boost your metabolic and physical activity, enhance your strength and flexibility, and improve your balance. 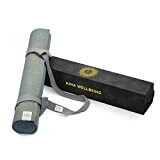 In addition to that, it is also helpful in relieving stress and coping with chronic conditions such as asthma and post-traumatic stress disorder. Yoga for seniors assists in improving mental health and promotes relaxation. Some of the most important benefits that yoga bestows on the human body are listed below. Elevated levels of cortisol, which is the stress hormone, are usually seen in people suffering from depression and anxiety. Practicing yoga regularly has proven to reduce the levels of cortisol, thereby bringing about relief. Including coordinated breathing and meditation exercises with your yoga routine is sure to elevate your mood and keep you on a positive note all day long. People suffering from arthritis generally experience stiffness and intermittent sharp pains in the joints. Also, their range of motion gets decreased over time. As yoga is a low-impact exercise routine, it gently stretches the muscles and joints. This ultimately reduces joint pain, restores the range of motion, and loosens stiff joints. Although there’s no permanent cure for asthma, it is a controllable illness. Some yoga poses combined with Pranayama (the practice of controlled breathing) opens up your respiratory system and eases breathing. Practicing different Pranayama techniques for 15 to 20 minutes every day will considerably reduce the chances of an asthma attack. As you get older, you might find it tough to balance yourself properly and the likelihood of you going off balance and falling increases. Falls are one of the leading causes of injury, and in some cases even death, among older people. Some yoga poses such as the tree pose and the chair pose focus on strengthening your lower body so that it can adequately support and balance your weight. You don’t have to hit the gym to build strength and achieve a better body. Yoga uses your own body weight to strengthen your muscles. There are a plethora of yoga poses that you can follow to get rid of muscular weakness and increase your strength. You can even target specific muscle groups through careful selection of poses. For instance, Bakasana strengthens your arms and Navasana works your abdomen and spine. Performing yoga poses stretches your muscles and helps relieve tension. This stretching helps open up different parts of your body. Yoga utilizes the reciprocal inhibition effect, where when one set of muscles contracts, the opposing set of muscles releases. The Paschimottanasana utilizes this effect to a great extent, helping you increase flexibility in your hamstrings. For people suffering from insomnia, yoga on a daily basis can help provide them with much needed relief. Yoga for seniors helps older people fall asleep faster, sleep for longer, and experience better sleep quality overall. This holds true even for pregnant women who practice mindful yoga. Some poses such as the legs up the wall pose and the lying butterfly pose are perfect for preparing your body for sleep. As we have established before in this article, the benefits of yoga are not only for the young. Older people and seniors over the age of 60 are the real benefactors of the practice of yoga due to the number of health benefits that it bestows upon the practitioners. Yoga is flexible and can be adapted to meet your needs. Yoga offers different practical options that are appropriate, especially for those with limited mobility. 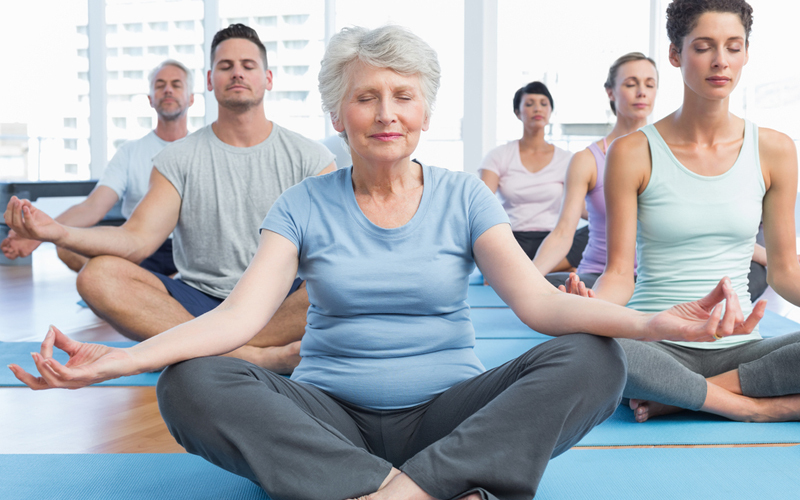 When followed diligently, yoga for seniors over 60 can help refresh their mind, body, and spirit. In addition to that, it keeps the body, internal organs, and hormonal system in balance. 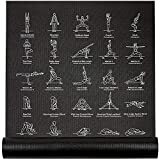 Yoga focuses on the critical aspect of ‘how you do’ instead of ‘how much you do.’ Therefore, the yoga poses are the only set of physical exercises that you can continue to perform as you age. Before you get on with making yoga for seniors a part of your lifestyle, there are certain things you should keep in mind. 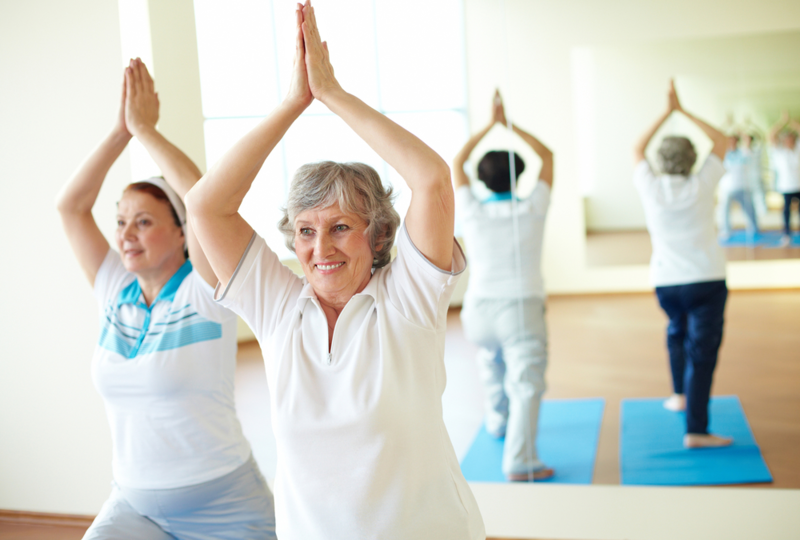 Some tips that help you get started with yoga for seniors are listed below. Getting to know your abilities and limitations is crucial as that would determine the path that you need to take for performing yoga poses. If you’re very active and athletic, you can start off with some challenging poses right away. If you’re sedentary, it's better to focus on slow, gentle movements to ease your body into yoga. You need to get in touch with an instructor who is certified and has experience dealing with people over 60 years old. The trainer should work with you and understand your physiological limits so that the poses can be adapted to accommodate your needs. The right clothing lets you move freely and not be concerned about anything except your routine. Avoid wearing baggy clothes as they do not let you stretch or move with ease. Once you’re all prepped and ready for taking up yoga for seniors, you can start off with performing some basic yet effective yoga poses and gently work your way up the ladder. Some of the yoga for seniors poses you can try are listed below. This pose helps with balance and grounding. It also straightens the spine and prevents slouching. To perform the asana, you need to stand upright with both of your arms to the sides. Keep your toes and the heels of your feet touching together. Then, gently draw your abdominals inward and simultaneously relax your shoulders by bringing them down and back. Engage your leg muscles actively and take five to eight deep breaths. This pose is great for the muscles in your abdominals and back. As you age, your spine health deteriorates. The pose helps strengthen your spine and its supporting muscles. To perform, start off on all fours like a dog. Then, slowly stretch one of your arms forward while simultaneously stretching the opposite leg backward. Draw your abdominals in and keep your back straight. Take a nice slow breath and switch sides. The pose also keeps your mind active as you would be forced to concentrate during the entire movement. This pose is excellent for building upper and lower back strength. It also prevents the forward head syndrome that is prevalent among older people. It stretches the thorax, abdomen, lungs, and shoulders. To perform the asana, you need to lie down on your stomach and place your forearms on the ground with the elbows under your shoulders. Press down on your arms firmly and lift your upper body and hold the pose for five to eight deep breaths and gently lower yourself. As you work through your routine of yoga for seniors, always remember that these poses can be modified to fit your physical limitations and needs, and remaining calm and relaxed makes it more enjoyable, if you’re feeling pain while performing any one of the yoga poses. Also, take slow and deep breaths while doing these poses as it helps loosen your muscles and allows you to focus. To get the most out of yoga for seniors, let go of any insecurities or inhibitions that you may have as it will only serve to drag you down. If you ever feel old to do yoga, stop and look around. Not only are there people over 60 years old practicing yoga, but there are also yoga instructors who are over 80 years old.